In the HOH competition, Veronica and Hamza were partnered up. Veronica was AMPED up to compete and was ready to throw Ali and Olivia on the block because neither of them talked game with her the first 4 days she was in the house. 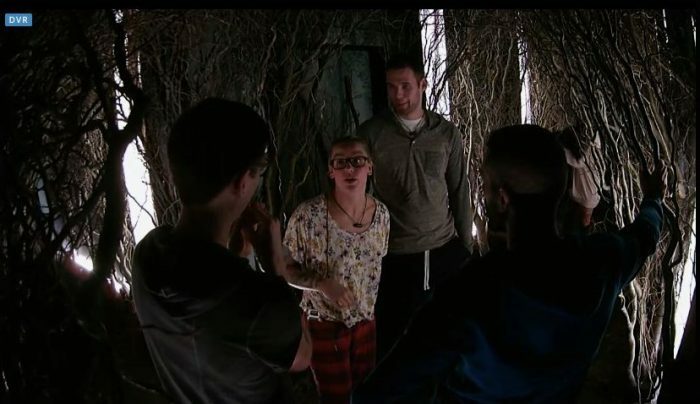 In the house meetings, the 4-week plans were discussed so the newbies and Hamza knew that they were on the house’s hit list after Andrew’s eviction. Hamza and Veronica went ham in the HOH competition, and after winning, Veronica gave Hamza the HOH since he was coming off a week of being a Have Not and being on the block next to his friend. The white room named their alliance “Misfits,” and often refer to the red room as Summer camp. They give each other nicknames. (Misfits include Veronica, Will, Maddy, Paras, Merron, Hamza and Ryan.) The very next day, Paras, Maddy, Will and Veronica learn that Ryan has created a secret alliance with Ali and Olivia. They don’t trust him anymore and want Hamza to backdoor Ryan. They don’t want work with him, and although Maddy and Paras can’t stand Olivia, they’d rather see Ryan out of the house this week. They consider him a threat because of how he talked his way out of being called out by Veronica, the seeds that he plants, his knowledge of BB and the fact he sent his best friend home. For nominations, Hamza is very secretive, but is putting up 2 red room houseguests. He surprises everyone by nominating Jesse and Olivia. Because they were Have Nots together last week, Jesse thought he and Hamza were good. Everyone thinks Olivia is the target, and Hamza says to ‘trust the process.’ He told Jesse just prior to nominations that he was going on the block to stack the veto comp against Olivia. Jesse, Derek and Kaela threw out Johnny’s name to keep Jesse off the block. Hamza told Johnny, so he no longer trusts those 3. Hamza’s goal was to shake up the house, and he succeeded as new alliances are forming so that it’s no longer red room verses white room. The Veto competition again involved a $5K prize. 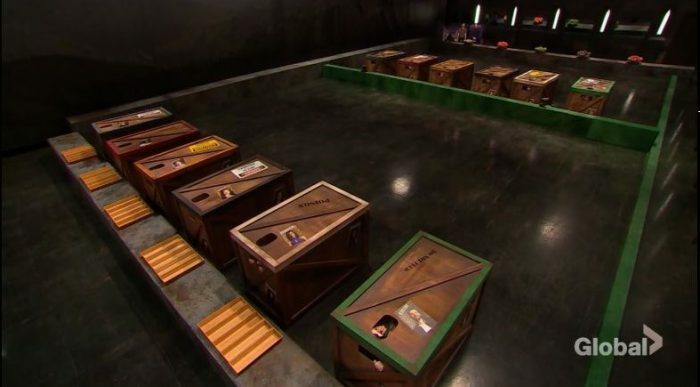 I hope that BBUS adopts this as a strategy to keep houseguests from throwing competitions. The players were Hamza, Jesse, Olivia, Derek, Johnny and Erica. It is speculated that Erica threw it because if she won, she’d already have half of the 2nd place prize in the bank. Hamza wins the POV. After the comp, he told Jesse he was going to pull him off the block. Even so, after talking to Hamza and Erica in HOH, Jesse slammed the door as he left. Erica and Hamza were surprised, wondering if this was a sign that working with Jesse may become difficult. Hamza said it was disrespectful. On Sunday, after a day of Jesse acting pissed, Hamza and his allies (minus Paras and Maddy) decided that it would be best not to use the POV on Jesse and to make him the target for the week. Veronica approached Olivia with a deal to keep her this week. Veronica asks Olivia to keep her, Will and Hamza safe if she wins HOH next week. Olivia of course agrees. Veronica also asks Olivia to talk game with her moving forward so they can build trust. Veronica tells her that as of this morning, she and Hamza were planning to send her home because she hasn’t spoken game with them, but sending Jesse out is the smarter game move. Sunday night, Hamza told Derek the house wants Jesse out this week, and he isn’t using the veto on him. Derek argued that Hamza told Jesse he would. Hamza said to protect his game next week, he should leave noms the same. Hamza lies to Derek saying Jesse can campaign to stay over Olivia. 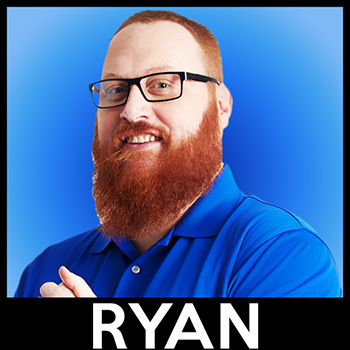 Veronica, Merron, Johnny, Erica, Ryan and Ali are on board. Even Kaela agrees after Erica explained how it benefits her game. Derek and Paras are arguing for him to stay with Maddy leaning towards voting him out. Paras is in tears that Jesse is probably leaving. Jesse and Derek have no idea what an uphill battle Jesse has as they think he has the votes to stay. A lot can happen between now and eviction, but Paras is probably losing her potential showmance, unless she steals Will from Veronica. Just so I know for sure. The plan is still to vote Jesse out? Unless something changes. Hard to say for sure after Jesse’s campaigning. We’ll see tonight.